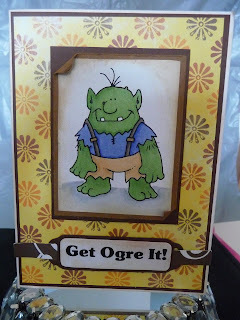 Queelister's Place: Distressed Ogre You? 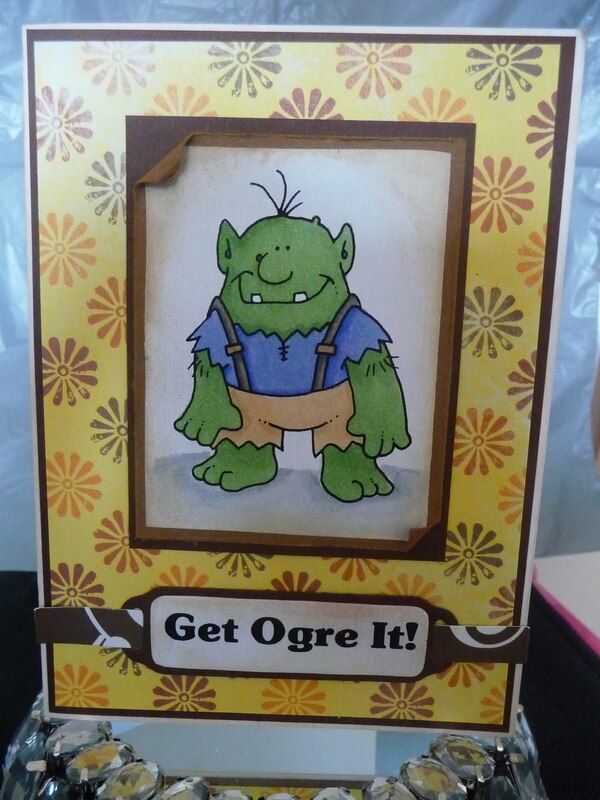 This week's Hambo Hoedown challenge was to use this digi image of an ogre along with one of two sentiments that were given to us. Along with using this digi image we were to use distressing on our card. I simply love the way this card turned out! I love the way it turned out too! Very nice! Thanks for playing the Hoedown. It turned out very nicely! I like the colors you've used. I just love those turned down corners! Wonderful card! Thanks for joining us at Hambo Hoedown!